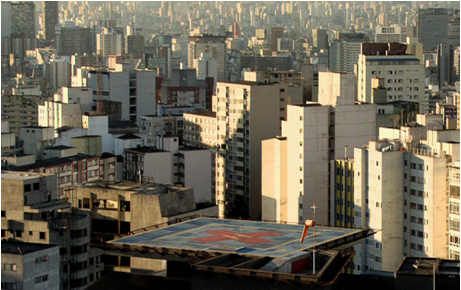 The German artist Felix Kiessling wishes to expand the human notion of spatiality and boundaries through his artworks. 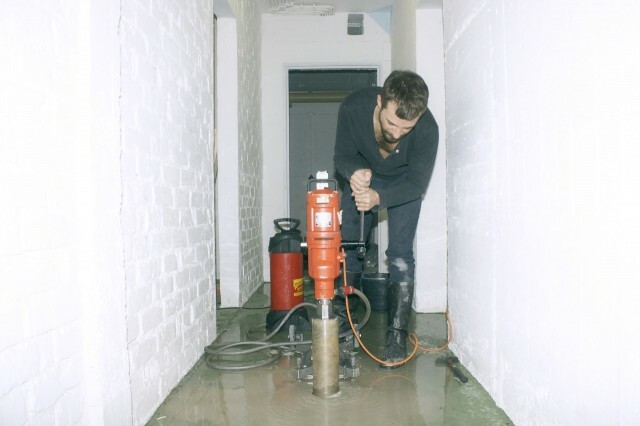 Linda Post met Felix Kiessling at his recent show Tür und Stern in the Alexander Levy Gallery in Berlin to talk about his work. 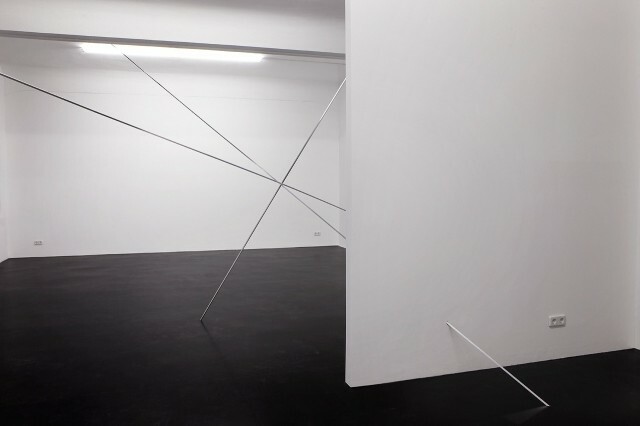 As you entered the exhibition space in the Alexander Levy Gallery where Felix Kiessling recently exhibited the show Tür und Stern you were greeted by an enormous aluminium star measuring approximately 12 x 12 x 12 meters. The fragile frame of the star penetrated both in a literal sense and conceptual sense the room’s physical boundaries by piercing through the gallery’s walls, windows and ceiling. Through the deconstruction of the conventional gallery space Kiessling is referring to the way human beings construct their surrounding spaces to be able to exist, understand and communicate the world they embody in regards to spatiality, direction and orientation. The young artist is on a Merleau-Ponty-ian quest to re-sensitize his audience through his abstract and minimal artworks, wishing to make his participant aware of the phenomenological intentional mechanisms that you as a human being practices and uses every day. The crooked directions and orientation of the star while piercing through the space in which it’s placed is a way of pushing the human being’s inherent understanding of space, boundaries and how we navigate these in order to move and perceive our surroundings. What kind of aesthetic experience do you want your participant to have when they go to one of your shows? First of all I’m not in a position to teach anything to anybody, I’m not a dogmatic artist if you want. What I hope to provide is some sort of experience with space or with your self as a human being standing on this planet earth. You cant tell anybody how to behave anyway because everybody will behave according to their own will, but what I can provide as an artist is some sort of experience that re-sensitizes you – maybe – for who you are in a very abstract way. The subject of this book is not the void exactly, but rather what there is round about or inside it. To start with, then, there isn’t very much: nothingness, the impalpable, the virtually immaterial; extension, the external, what is external to us, what we move about in the midst of, our ambient milieu, the space around us. Space. Not so much those infinite spaces, whose mutism is so prolonged that it ends by triggering something akin to fear, nor the already almost domesticated interplanetary, intersidereal or intergalactic spaces, but spaces that are much closer at hand, in principle anyway: towns, for example, or the countryside, or the corridors of the Paris Metro, or a public park. Space is Only Space for Someone Who is Moving in it. Dedicated to the Austrian-American theater designer, artist, theoretician and architect Frederick Kiesler,the exhibition Space House at Kiesler Private Foundation, Vienna, is titled after the Space House, that was built by Kiesler in 1933 for the Modernage Furniture Company in New York. This true to scale model of a single-family home served as a show room for the company`s furniture. 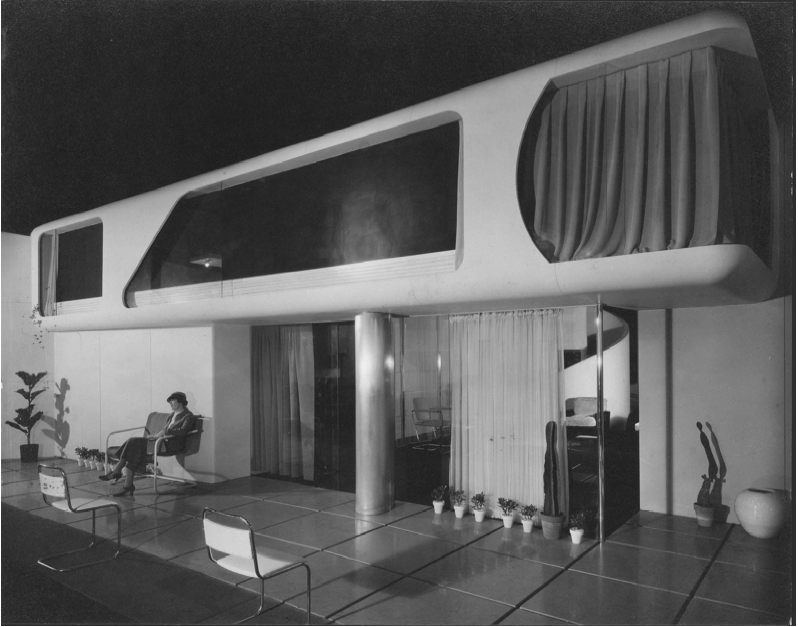 Due to Kiesler`s thought “space is only space for someone who is moving in it”, his Space House marks the transition of new design criteria in architecture: the space became more important than the structure that encompasses it.